Working with IB Schools from around the world to provide an ideal platform to meet the IB requirements for the Primary Years Programme (PYP), Middle Years Programme (MYP), Diploma Programme and the IBCC – International Baccalaureate Career-related Certificate. How can GET help with our IB programmes? GET works with schools to plan and prepare specific programmes for all age groups. In order to meet the requirements of the IB, we work with schools to plan programmes which include a variety of activities and specific study foci to provide children and students with the necessary experiences to further enhance their learning for the various IB curricular. Primary Years Programme (PYP): GET aims to meet the objectives of the IB PYP by providing opportunities for young people to gain further development and learning opportunities outside the classroom. The destinations we offer provide a variety of activities to present the world to the young learner, exposing them to a new and fascinating world through experiential learning. 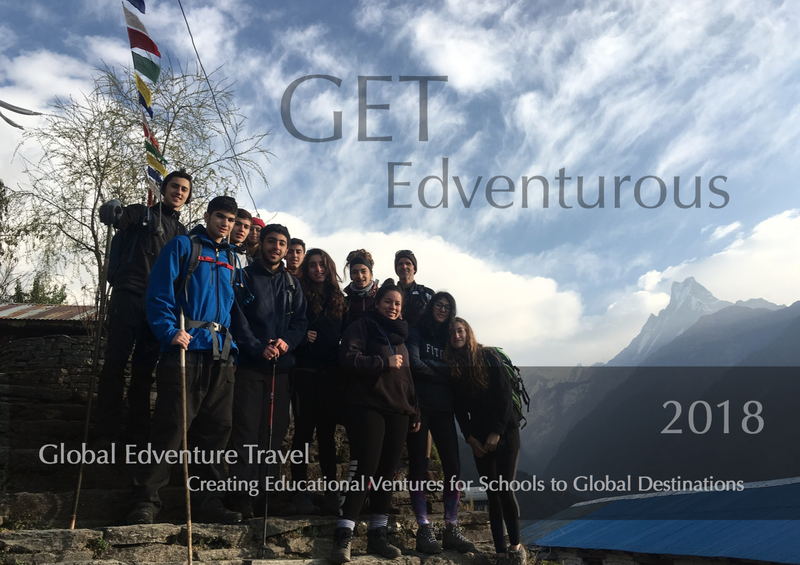 Our Edventure Camps are specifically designed for young students, providing an active, challenging, educational and rewarding experience. Middle Years Programme (MYP): The theme for the MYP, following the PYP, focuses on allowing the student to ’embrace and understand’ relationships between what they learn in the classroom and what is available to them in the ‘real world’. GET takes the ‘learning-outside-the-classroom’ approach with a number of available programmes in a variety of destinations. Our programmes host a range of possibilities to fulfill the requirements for Areas of Interaction: approaches to learning, community and service, human ingenuity, environments and health and social education. Diploma Programme: GET’s overseas programmes combine a variety of subjects ideal for meeting the IB Diploma requirements. The Diploma programme requires all students to study six subjects from the six subject groups. Each of the subject groups can be incorporated into one of our overseas programmes, ranging from language studies, science, geography and the arts. The Core Requirements can also be met allowing each student the opportunity to fulfill requirements for CAS, Extended Essay, Theory of Knowledge and newly introduced World Studies Extended Essay, an ideal opportunity for those involved in Model United Nations (MUN). Our programmes can combine all of the above to provide one trip which covers the elements of the IB Diploma programme and provide the experiential learning that is fundamental to the core principles of the Diploma Programme. IB Career-related Certificate (IBCC): Our overseas programmes compliment the new IBCC providing opportunities to meet the IBCC Core: ATL, Community and Service, Language development and Reflective Project. Our European study trips provide the perfect experience to fulfill the IBCC requirements.